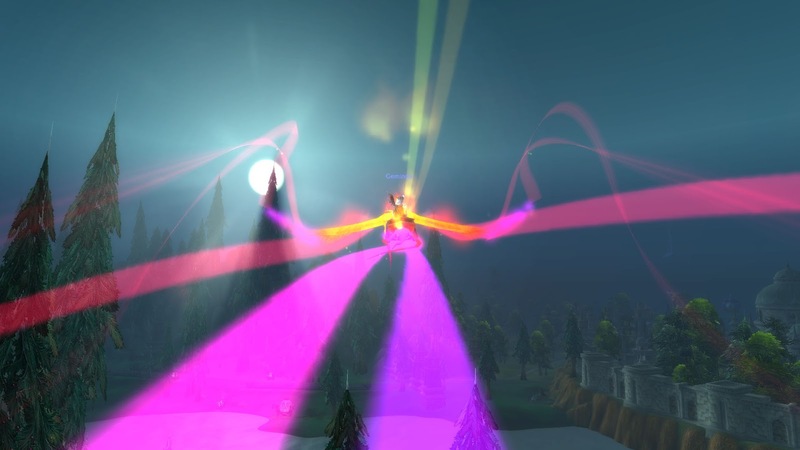 Flushed with Rosy Colour: The Prettiest Mount in World of Warcraft? The Prettiest Mount in World of Warcraft? I just don't understand why there are some people out there that don't agree with me? I mean, come on! Ashes of Al'ar, the mount that drops 0.1% of the time from the last boss in Tempest Keep is the prettiest mount in World of Warcraft by far! I told my guildies so last night, when we decided to skip heroic HFC progression (we didn't get our usual heals online, we are up to 8/13H), so we decided to get the guild achievement from Heroic Siege of Orgrimar. As it turns out, after spending over an hour in there, we have to do it on Mythic to get the Heroic achievement, d'oh! The prettiest mount in WoW, by far, Ashes of Al'ar.